Brian Fielding was a member of the young generation of post-war British painters who took their influences equally from their slightly older contemporaries - the 'Middle Generation' of artists such as Heron, Hilton & Scott, who had given British abstraction a new international profile - and the New York School of Abstract Expressionism, which had first been shown in London in 1956. Fielding studied at the Royal College of Art from 1954-57 - at the time it was transforming itself into the epicentre of the new London scene. 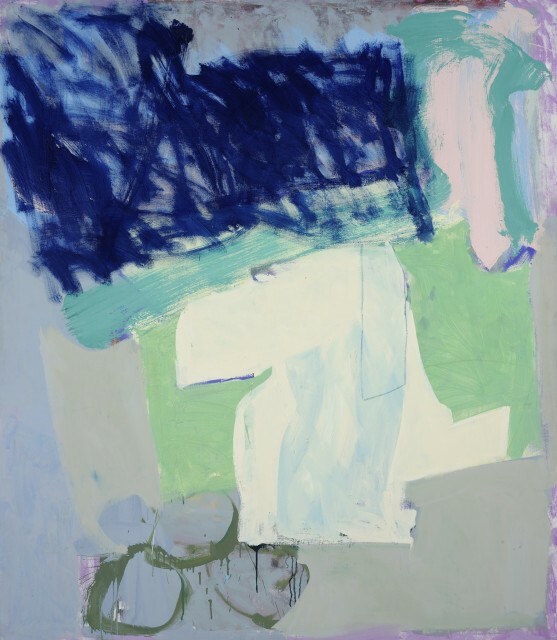 He had his first solo show in 1958 and exhibited at the renowned Rowan Gallery in the early 60s. However Fielding's restlessness and insistence on experimenting with form and style didn't mesh well with building a commercial profile. Ever indifferent to seeking recognition, Fielding only showed his work occasionally in 70s and 80s, preferring to support his painting through teaching jobs at a number of art schools in London. A major retrospective of his work was held at the Mappin Art Gallery, in his home town of Sheffield, in 1987.